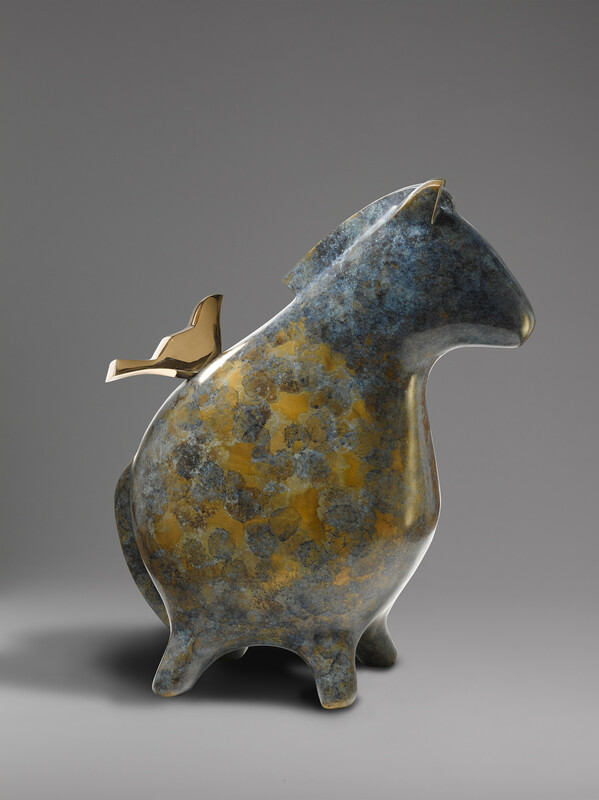 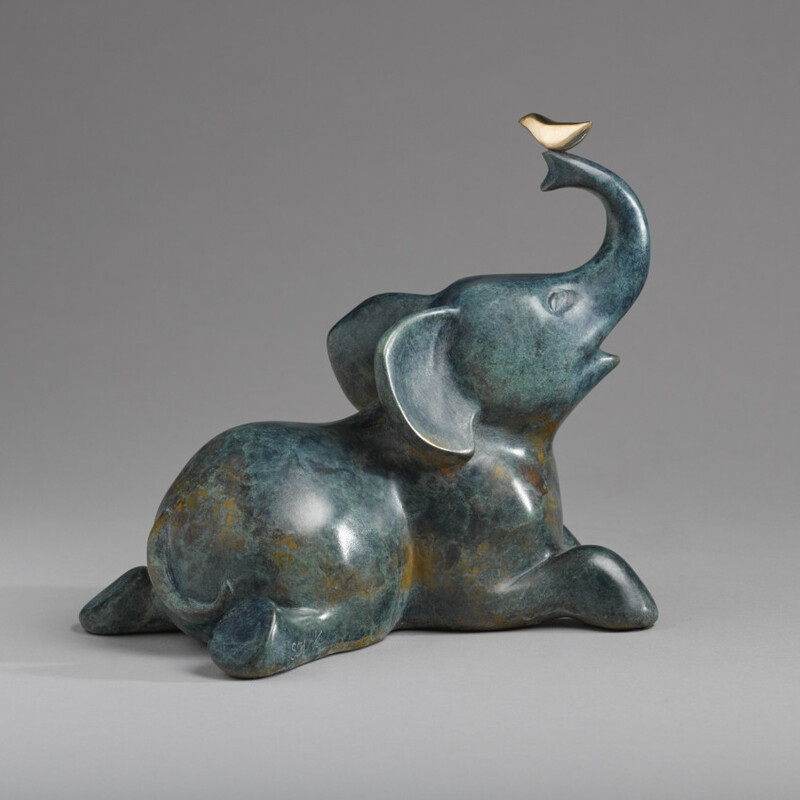 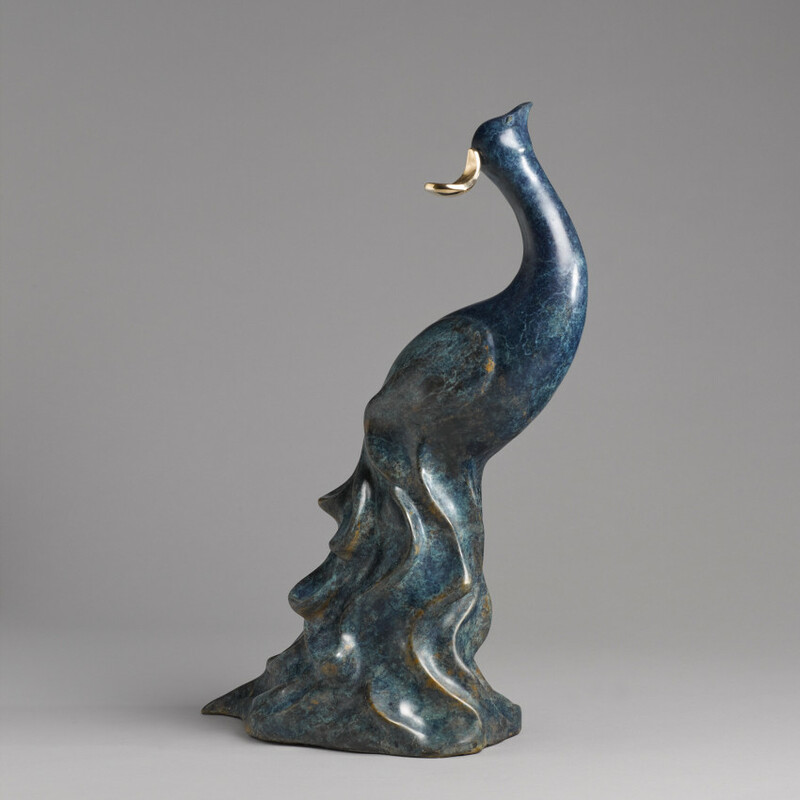 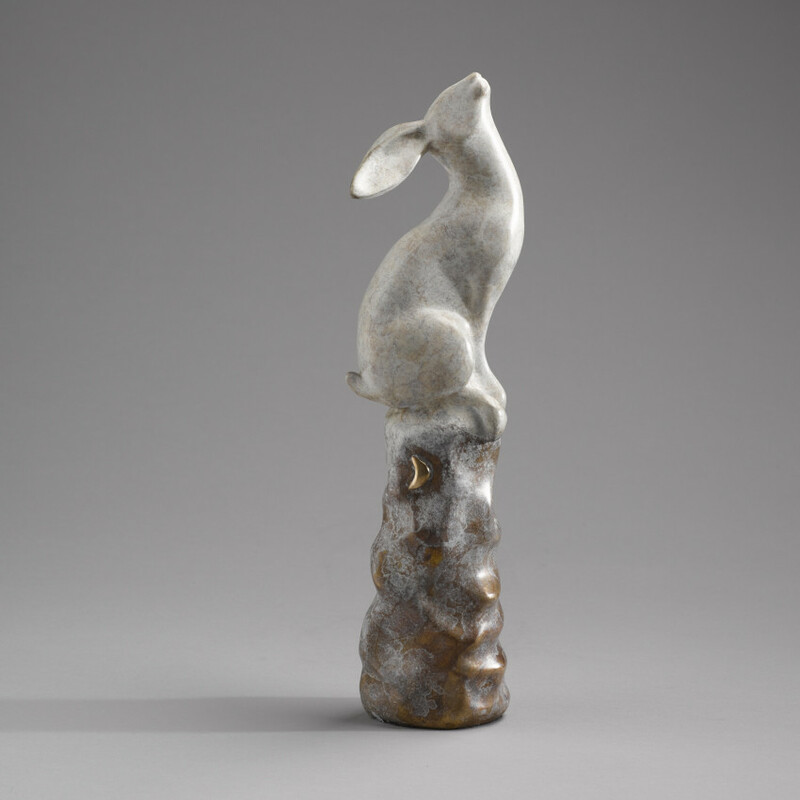 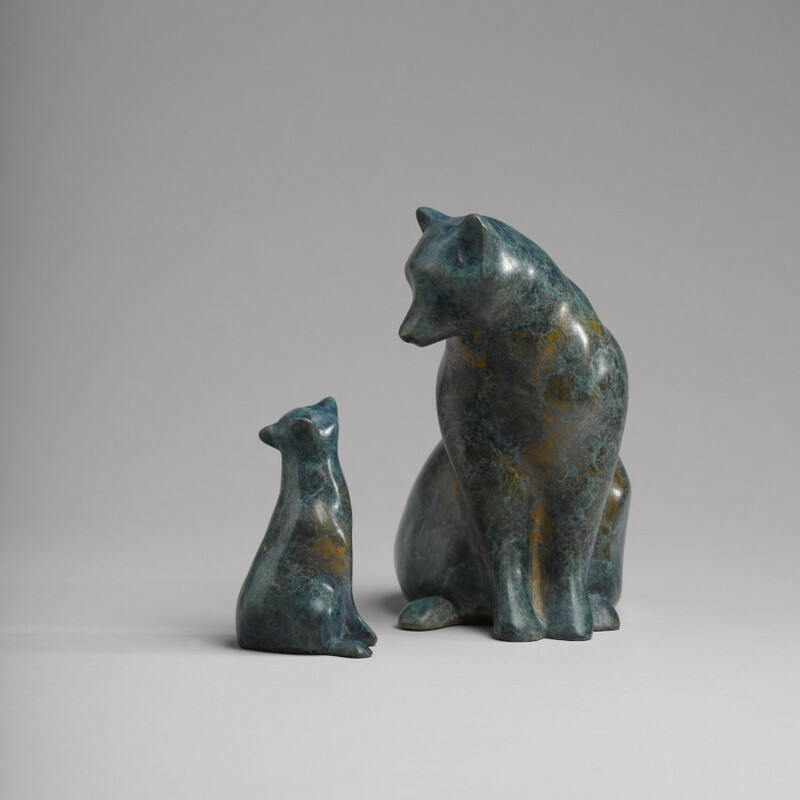 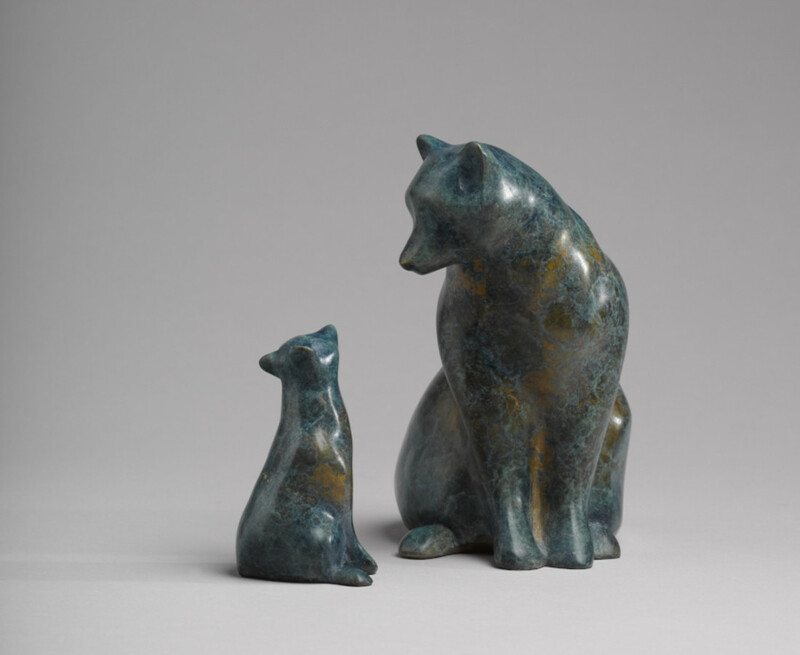 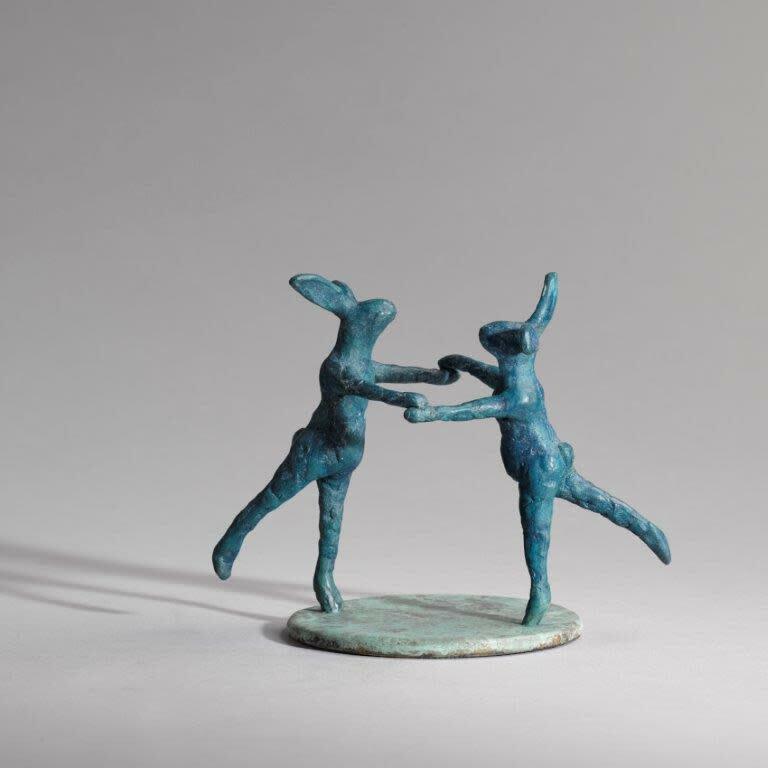 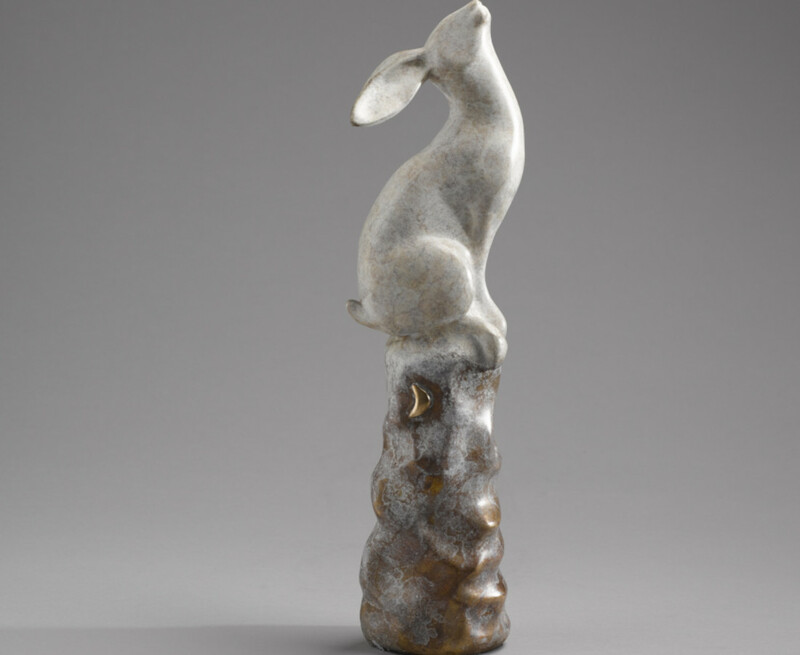 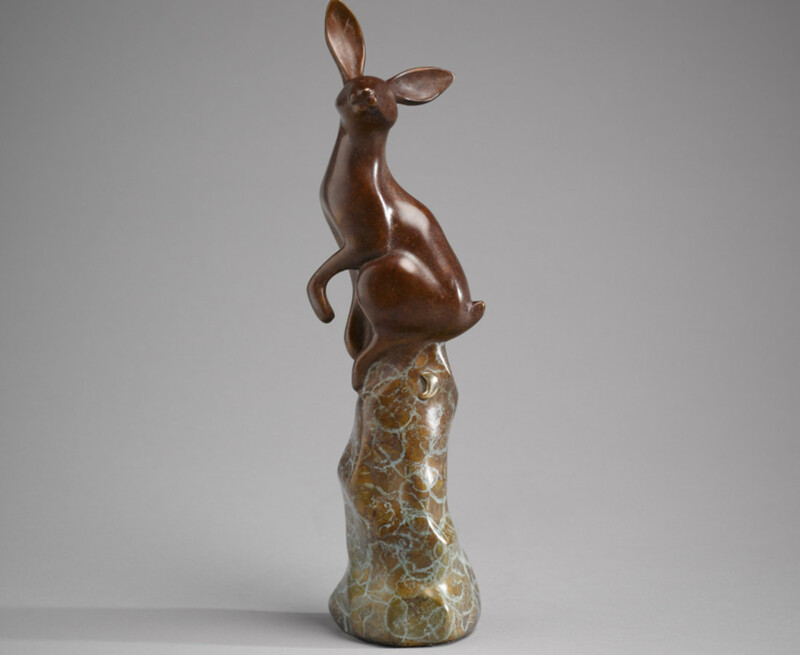 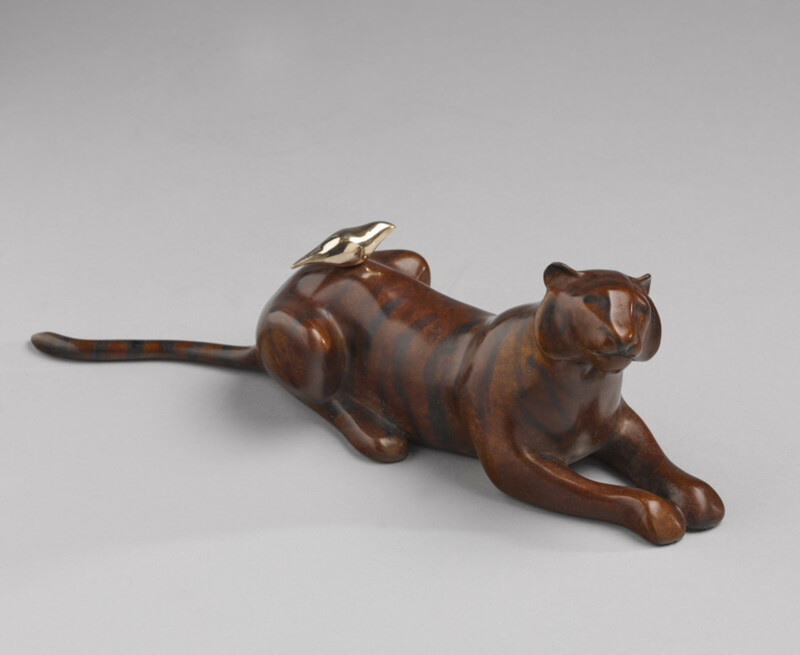 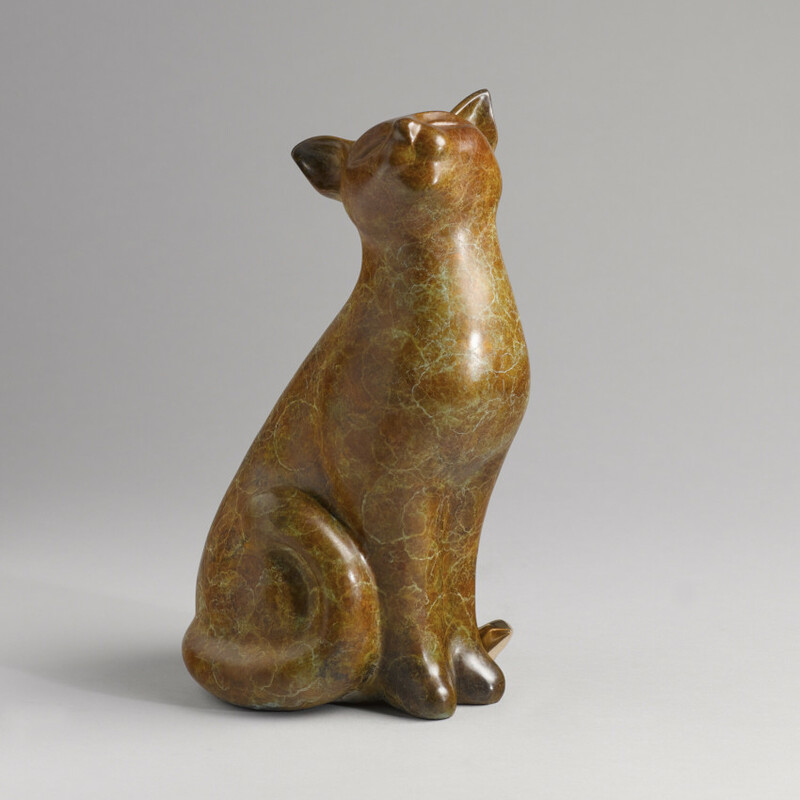 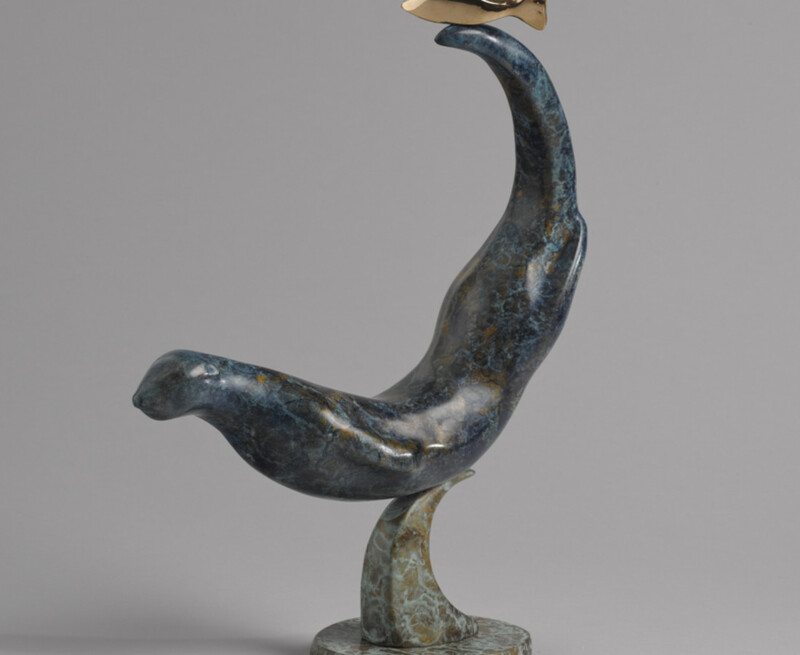 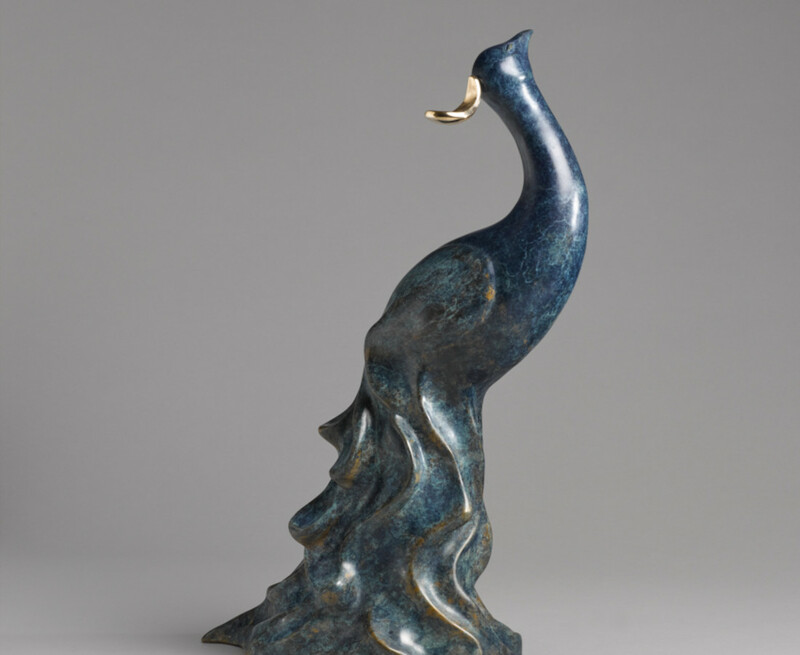 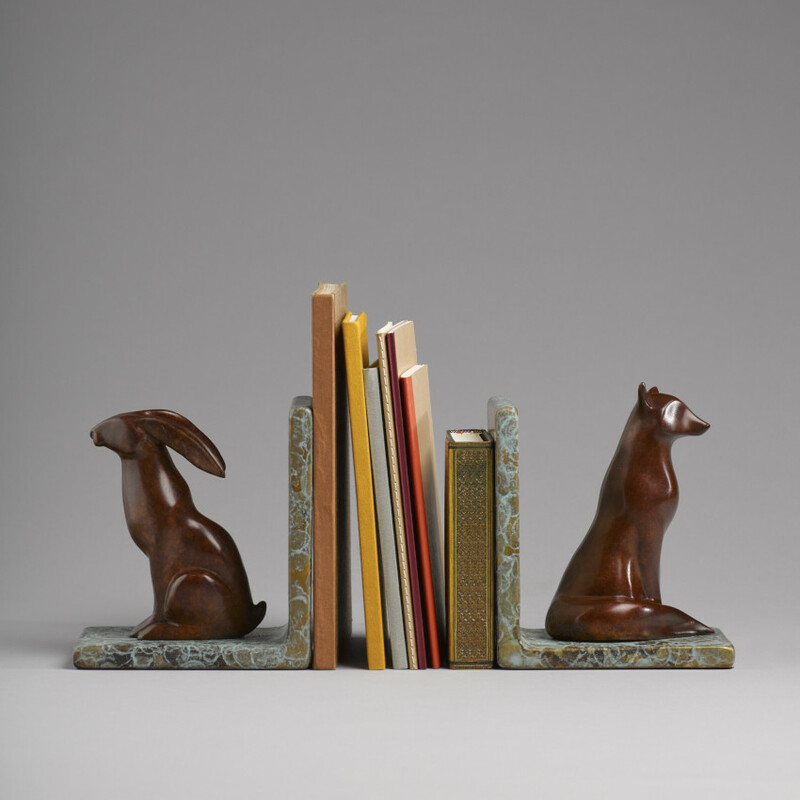 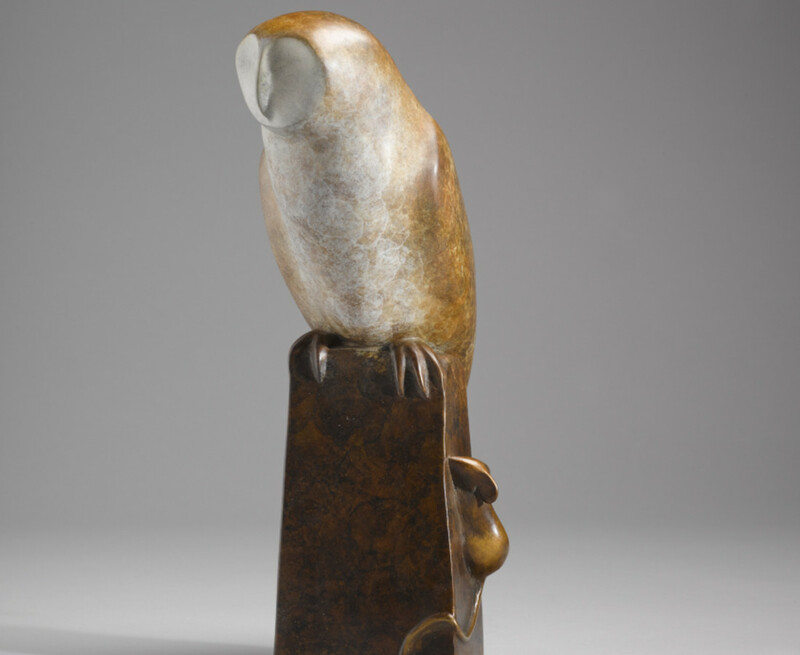 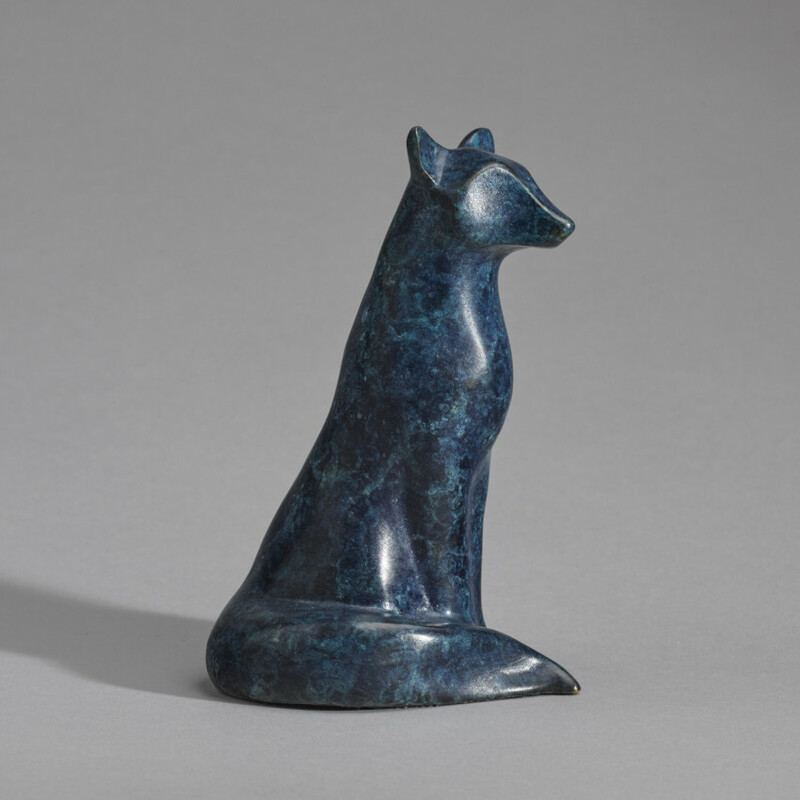 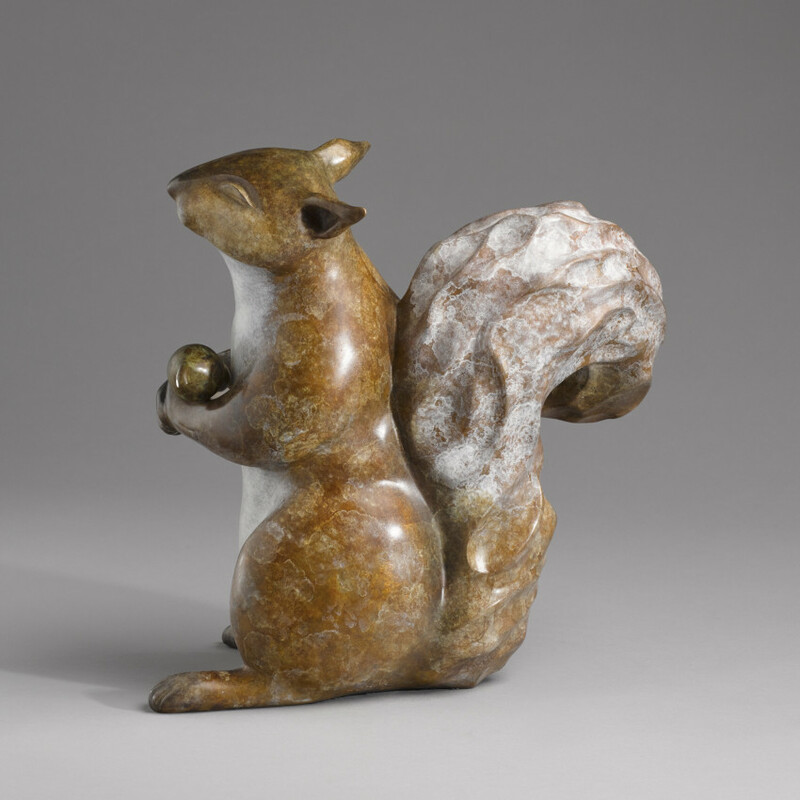 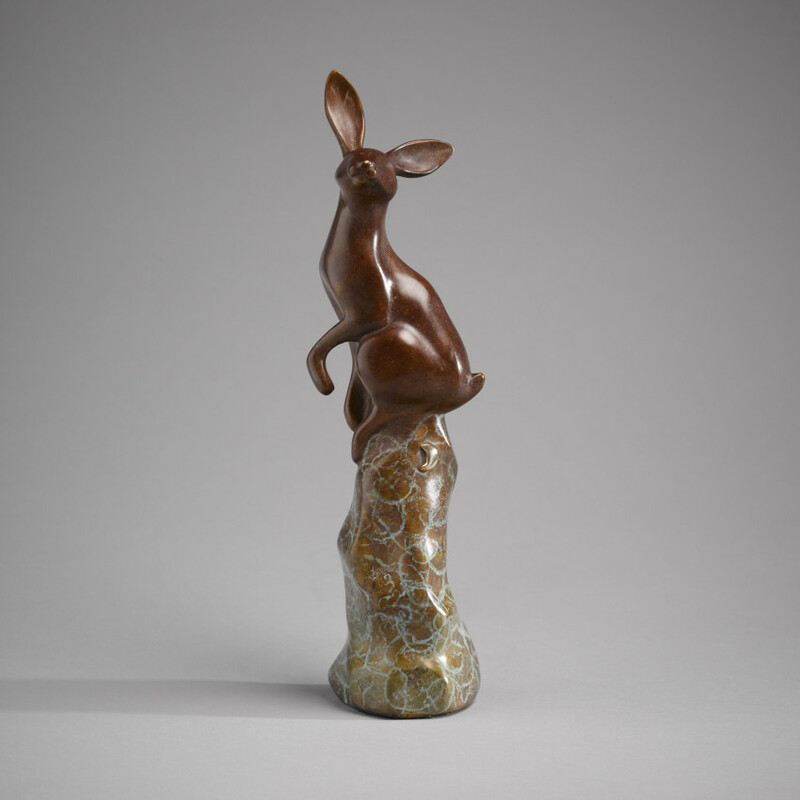 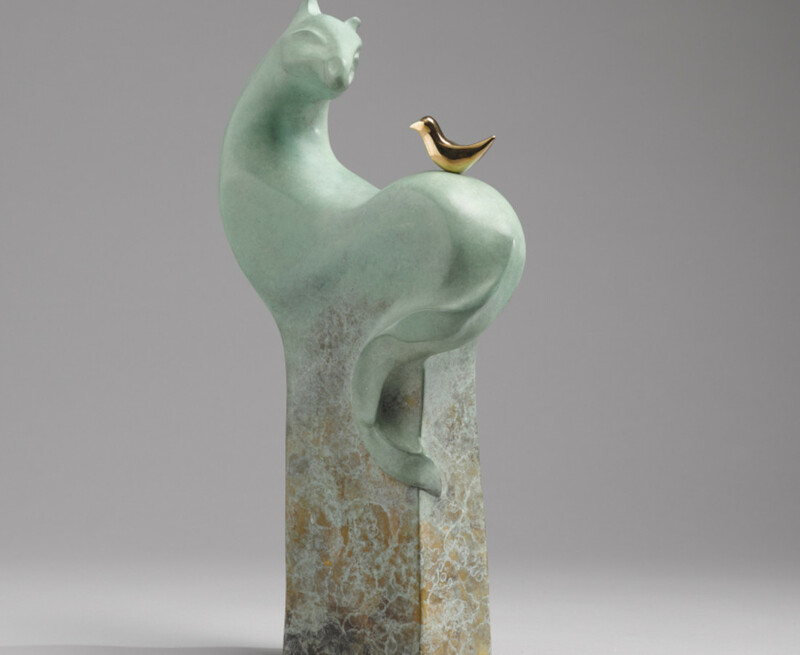 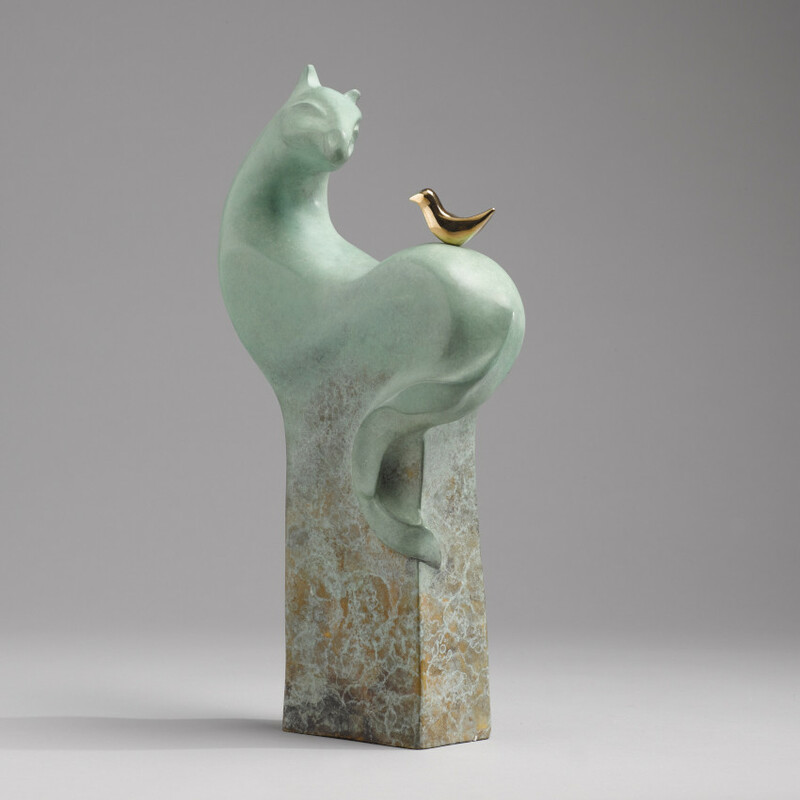 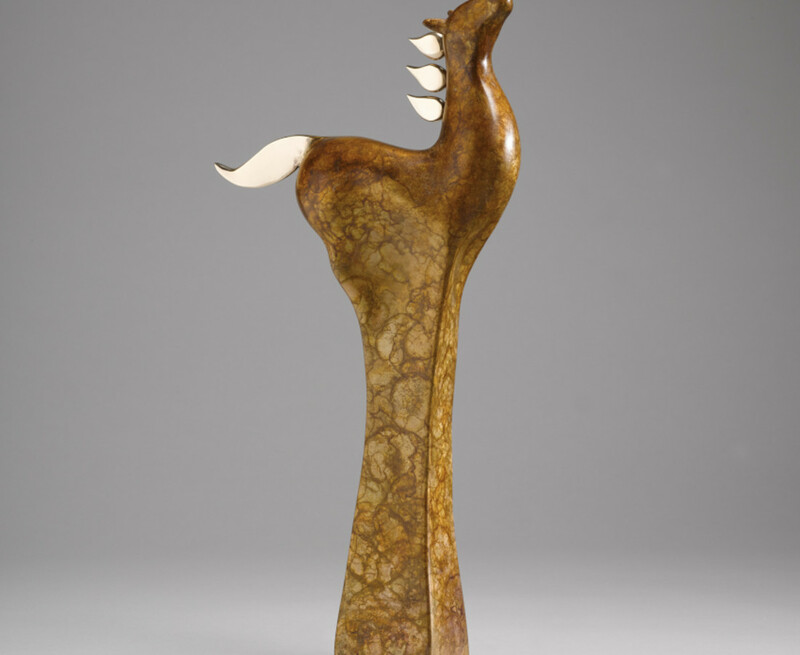 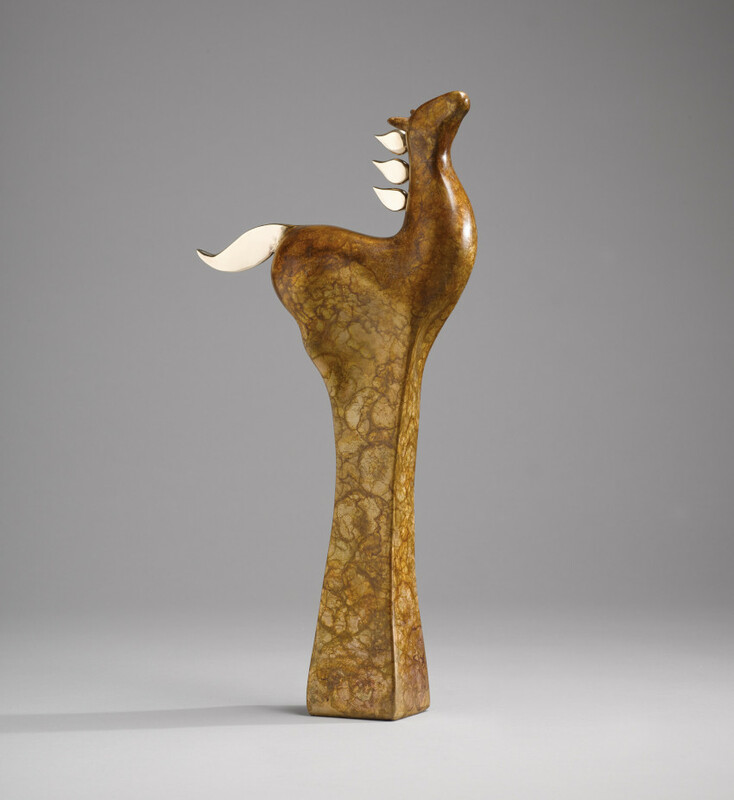 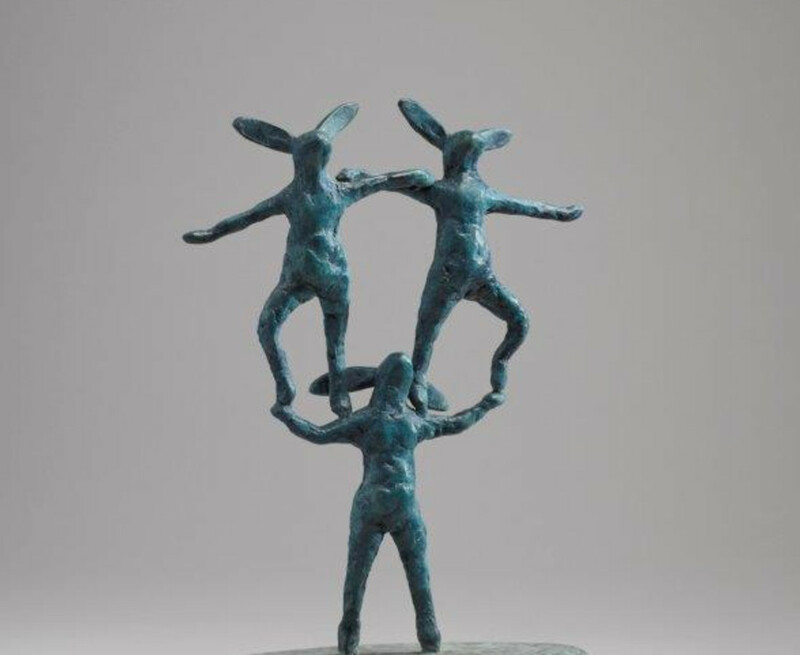 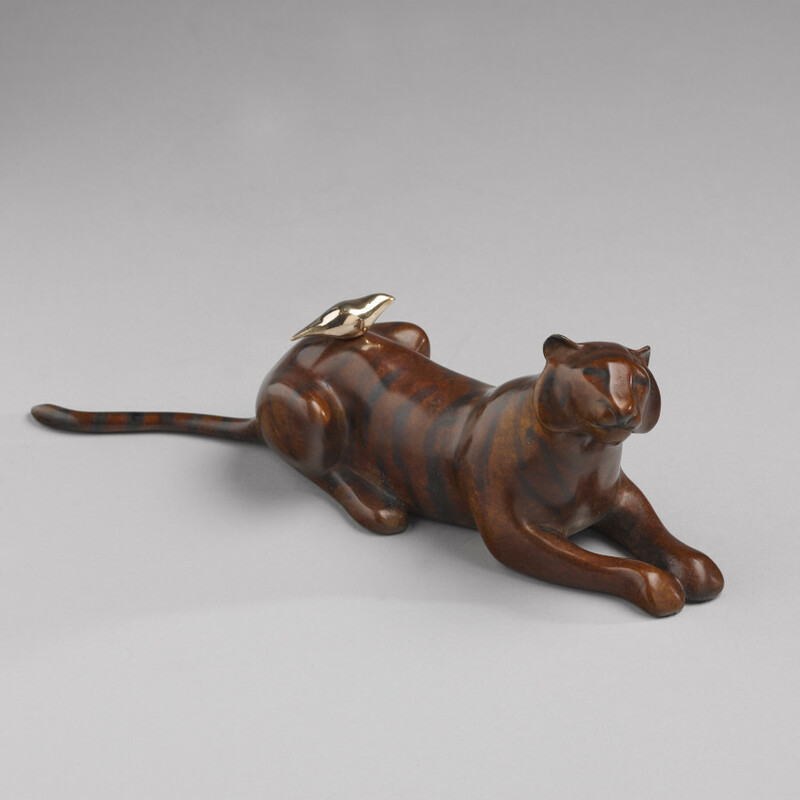 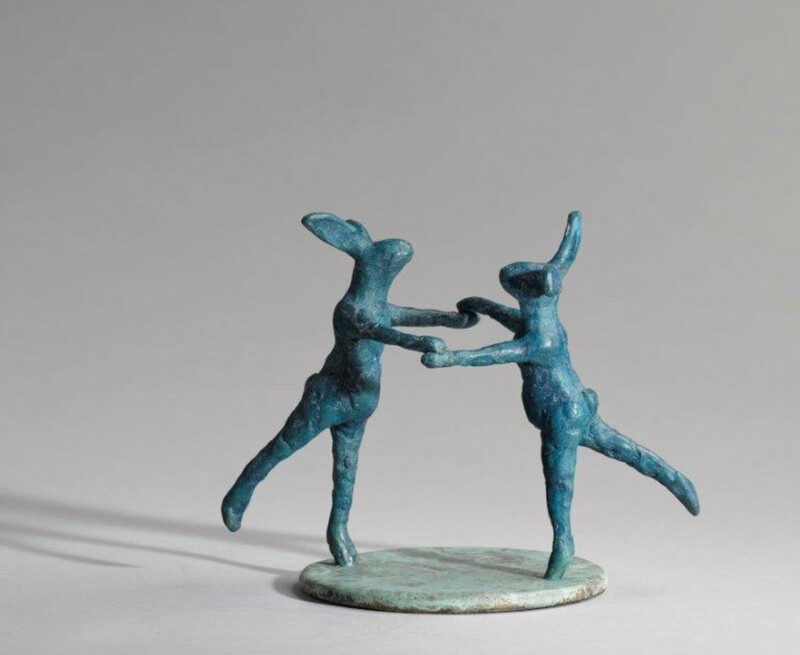 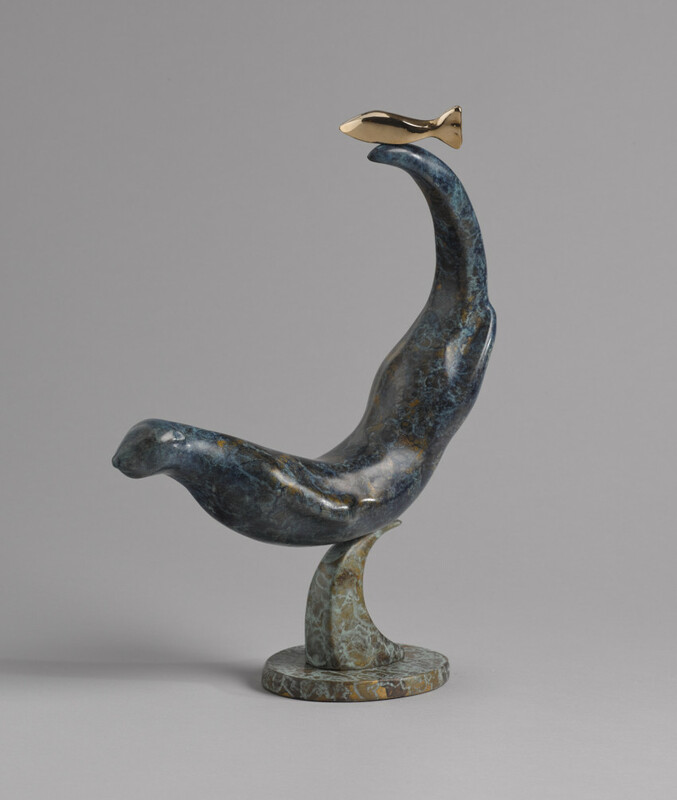 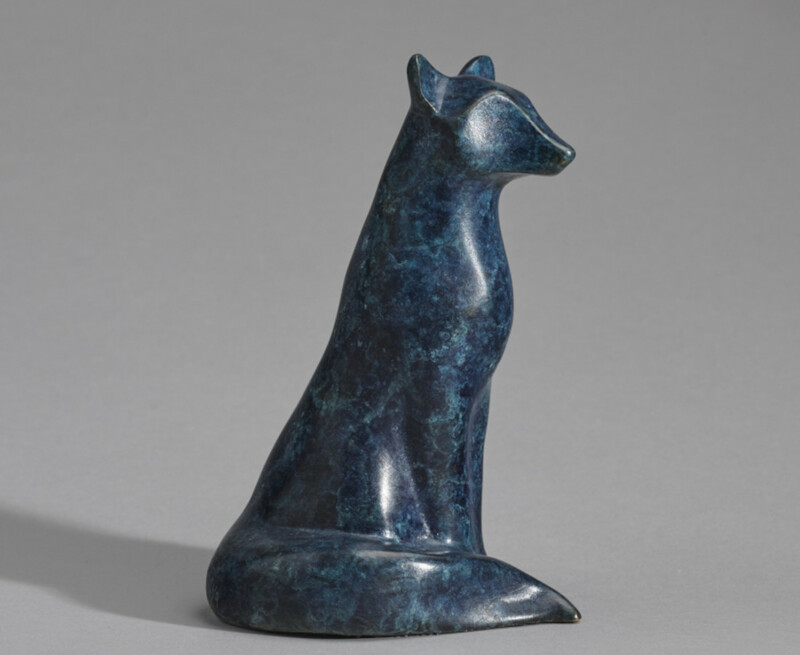 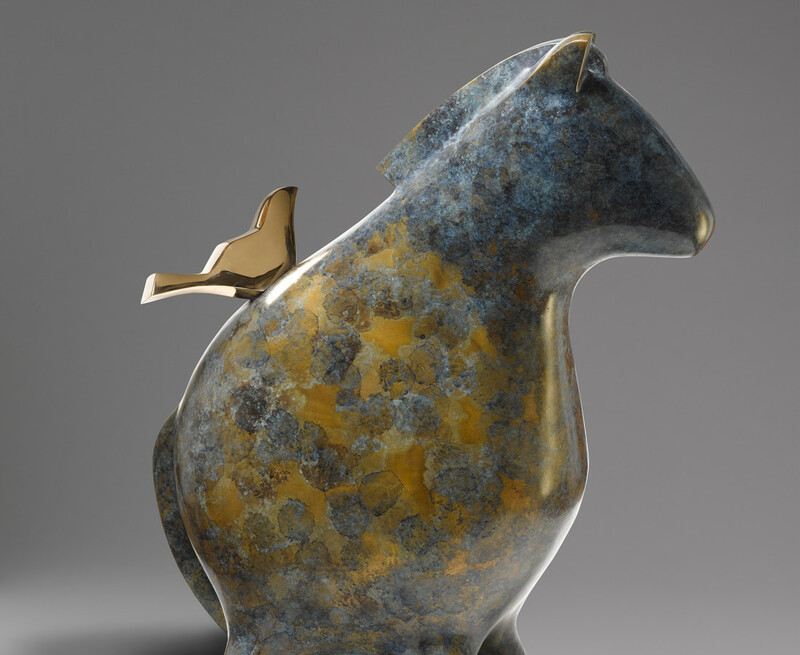 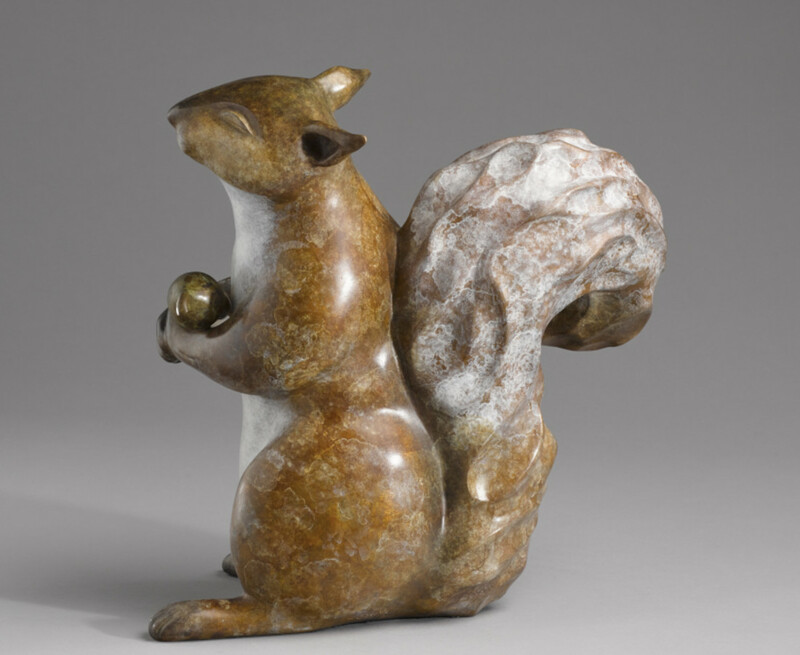 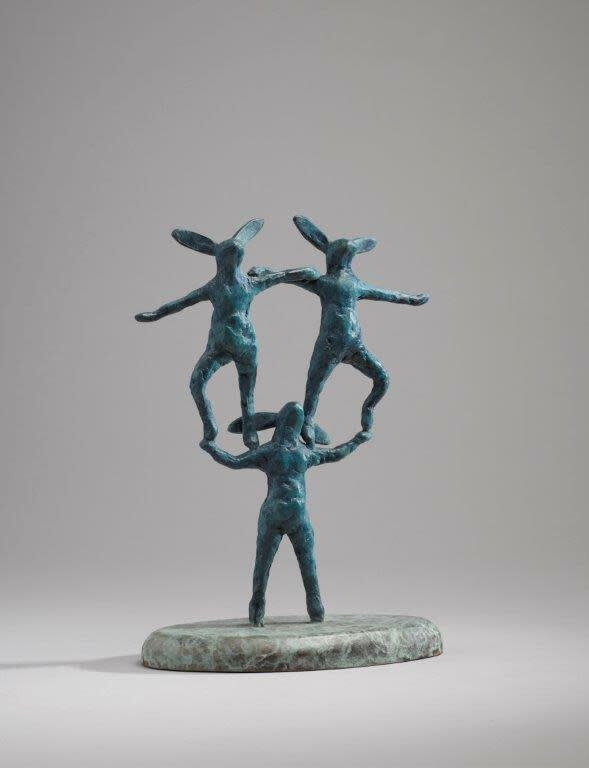 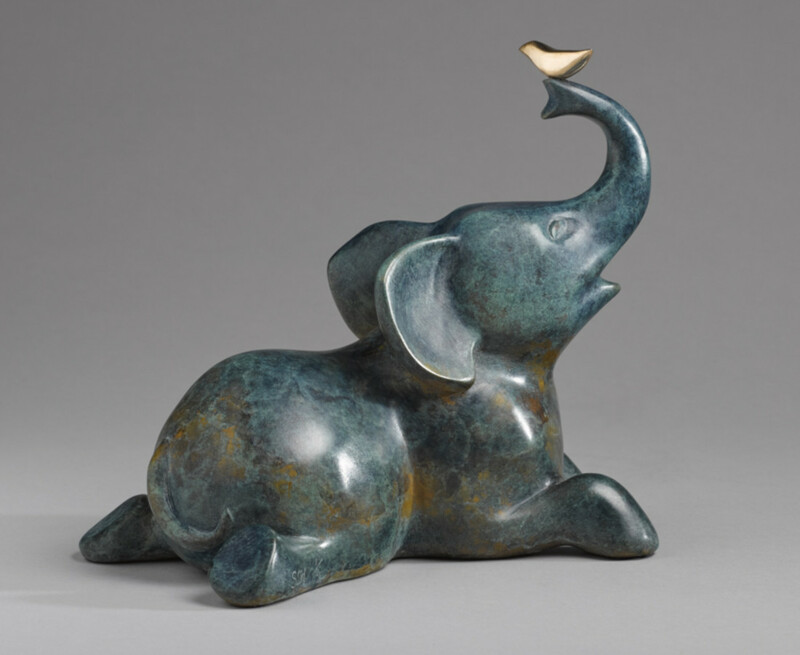 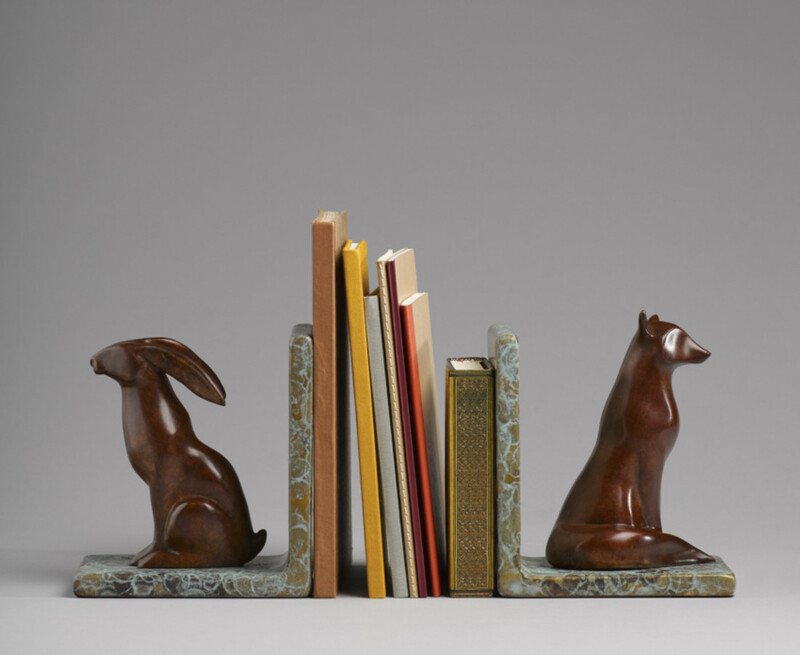 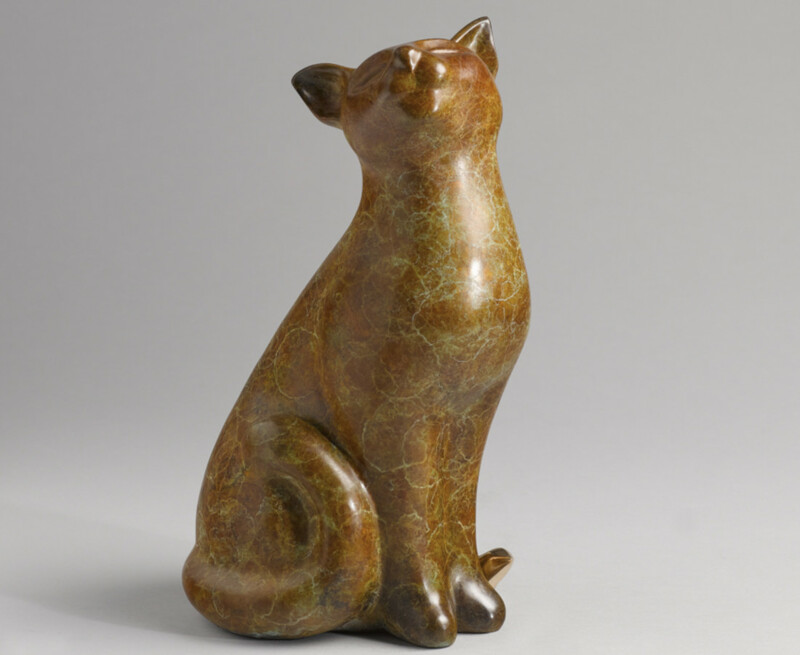 Solomon Fine Art is truly delighted to host Stephanie’s much anticipated début solo exhibition with the gallery which will feature her distinctive, exquisitely patinated animals; each one characterful and brimming with whimsy, playfullnes and humour. 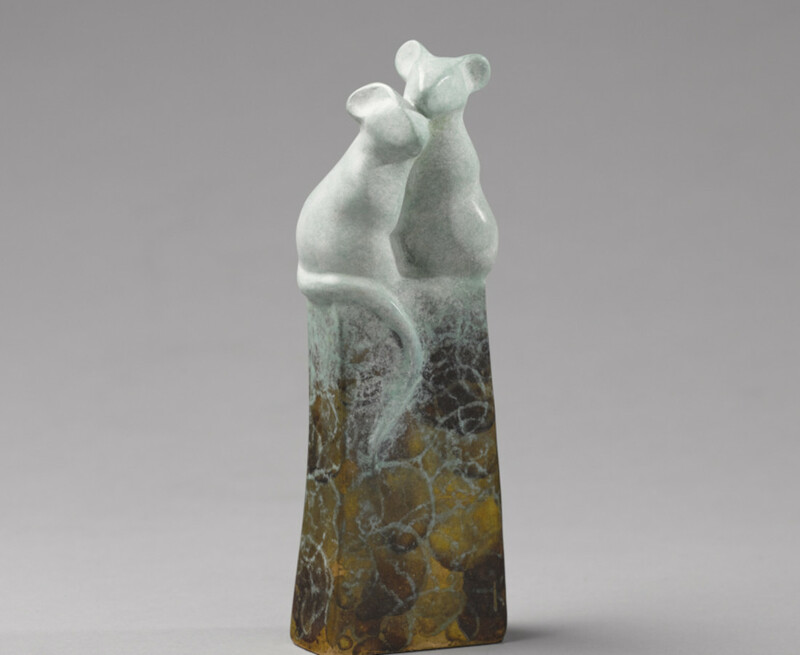 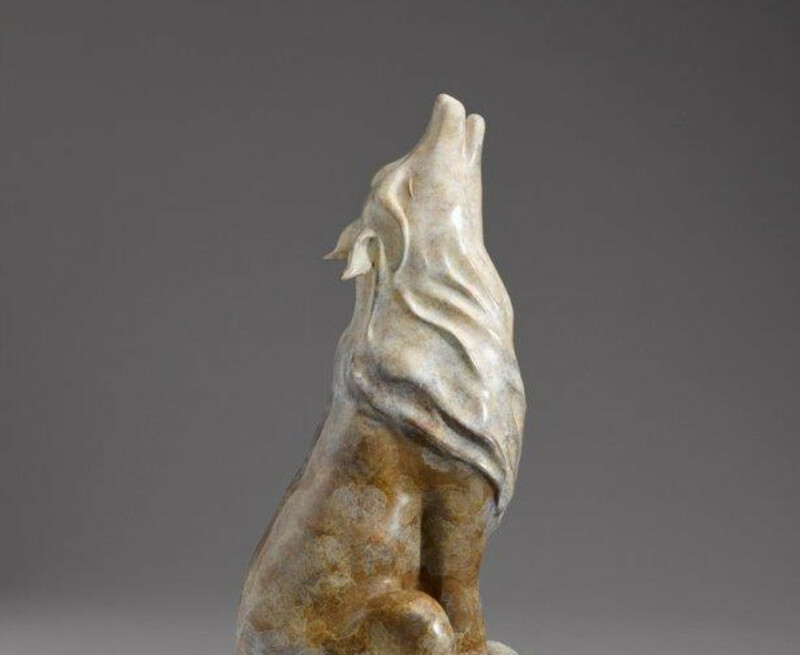 Stephanie Hess says of her work “the world my creatures inhabit is one of colour, joy and play. 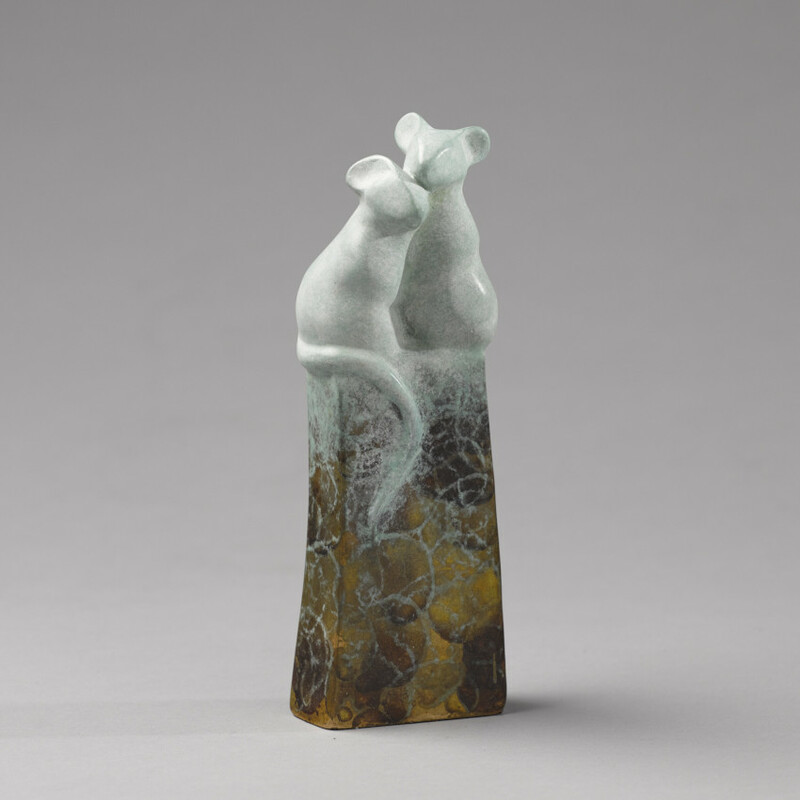 Some animals I choose to depict in pairs as the idea of symbiosis appeals to me, whether it be in friendship or in a predator and prey relationship, but always shown companionably. 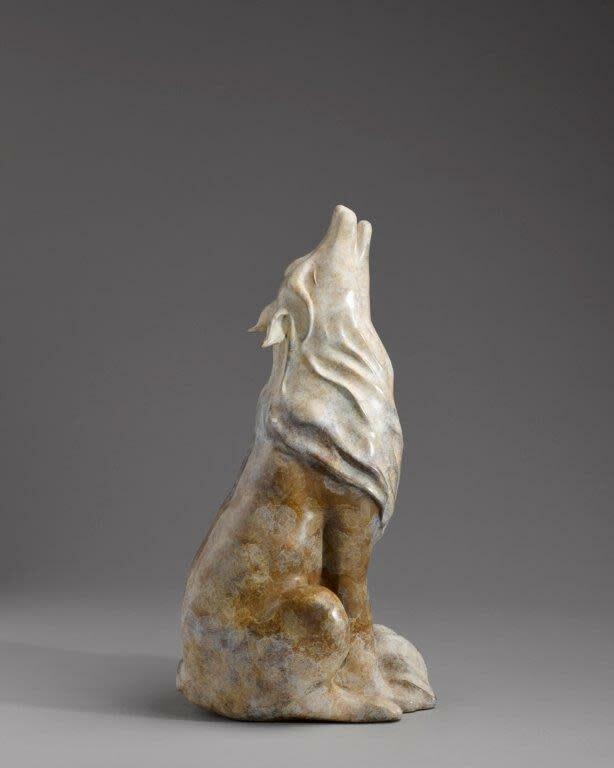 Those creatures who are on their own are happily immersed in their own private world”. 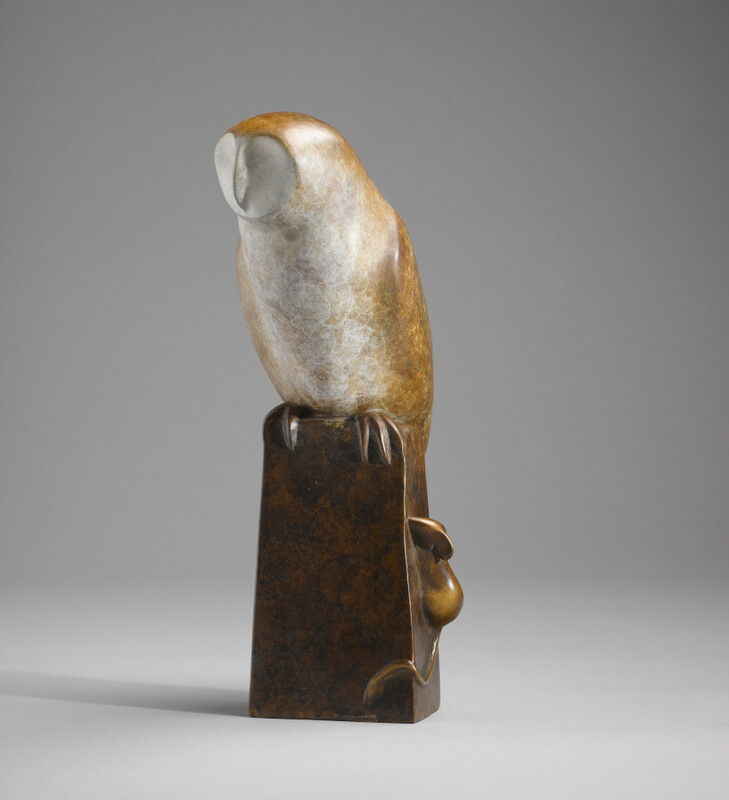 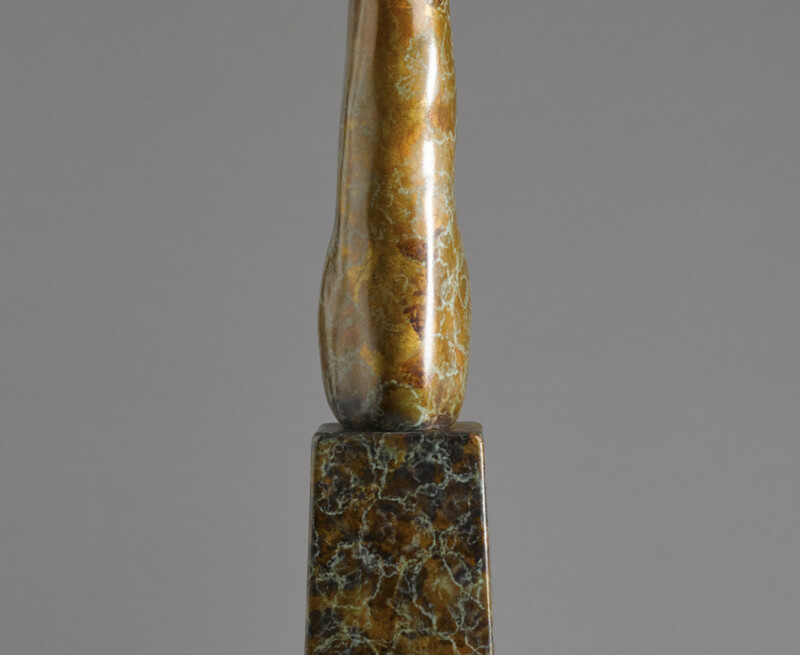 Describing her process she says “the patina is an integral part of the character of each piece, and from the moment I open the bag of clay to begin I see colour and the beautiful glow of bronze”.